Police are looking for witnesses to come forward. 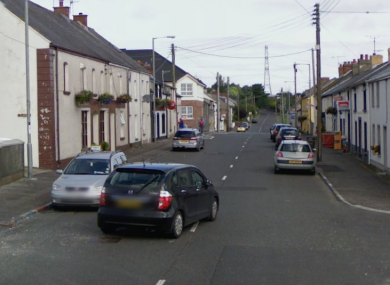 THREE MEN WERE stabbed in a fight outside a pub in Co. Antrim late last night. The incident happened just after 1am this morning on Main Street in the village of Ballcarry. The PSNI has said that a number of people were involved in a fight outside the pub and that three people were hospitalised with stab wounds to their bodies. Two of the injured are men in their 30s and the third is a man in his 60s. Police have said that their injuries are not thought to be life-threatening. A 31-year-old man and a 27-year-old woman have both been arrested following the incident. They are being held on suspicion of a number of offences including attempted murder. Any witnesses to the incident are being asked to contact police or the independent charity Crimestoppers. Email “Triple stabbing outside pub during fight in Co Antrim ”. Feedback on “Triple stabbing outside pub during fight in Co Antrim ”.